Over the last few years, the use of “360 Degree Feedback” has grown in popularity. 360 Degree Feedback is a system or process you develop in which the employees received feedback from those who work around them. This can be managers, peers, direct employees, or employees from other departments in which they interact with regularly. However, before we discuss the pros and cons of 360 Degree Feedback it is important to gain a general familiarity with performance appraisals. In particular, what are the advantages of performance appraisals? Performance Appraisals offer several advantages to the individual, team, and to the company. Research has consistently demonstrated that these items are extremely important for an individual. Without recognition for past efforts it can be difficult to consistently motivate an individual to engage in future efforts, or willingly accept developmental activities. The effectiveness of any team is clearly aligned to the team’s set of objectives. Without opportunity for feedback in a trusting and transparent setting, the team will not know where they collectively are in relation to those objectives. 360 Degree Feedback is a continuous process of improvement and must be always perceived as being so. The simplest form of performance appraisals involves two individuals – the manager and the employee. One of the most important advantages to performance appraisals is the employee’s role in performance management! When employees are actively involved in their own development and set objectives with their manager, there is a natural tendency to take ownership in their own performance. Below is a list of the main performance appraisal techniques. Most companies use these forms of performance appraisals. Whatever you choose to include as part of your 360 Degree Feedback will vary depending on the type and history of your company. Appraiser specifies on a scale to what degree relevant characteristics are possessed by the Employee. Stay tuned for part 2 – we’ll talk about “An Effective 360 Degree Feedback Process” and the top 10 Reasons 360 Degree Programs Fail. Third Quarter: Time to Plan Your 2016 Kick Off! So here we are – the last week in October! Has it been a good year? Have you met the goals you set for 2015? What did you do well? What could you do better? These are the questions you need to start asking yourself in order to prepare for 2016. We have talked about business planning versus a business plan before so this post will focus on what you need to do between now and December 31st so you will be ready for kickoff on January 1st. It will be here faster than you know – Ready or not! My advice to clients is to complete planning for the New Year by Thanksgiving. This will allow you to enjoy the holidays and know exactly what you want to accomplish in the New Year before the end of the current year. Yes, I am about to tell you to plan your planning! The whole process can be broken into 6 steps. I don’t recommend trying to complete a plan in one sitting! You need time to walk away and think or brainstorm. Think of things you want to accomplish next year, products and/or services you would like to add, how you can streamline areas of the business, what goals for growth you can set, or even when you plan to take a vacation. The first step to putting your 2016 plan together is to make a date with yourself to gather the information that you will need. It’s that easy! So, stop reading and go mark some time on your calendar for next week. You probably need about an hour just to gather information. That is it for the first step…that wasn’t hard was it? Set dates on your calendar for steps three – six. You should break these up into several days. That is planning your plan! The best place to start projecting sales for 2016 is to review what sales were in 2015. Look at each month taking into account any unusual positive or negative spikes in sales. What were the reasons for the spikes? Were they controllable? Define what a reasonable increase in sales would be. Record these projections by month in a spreadsheet. Use excel if your financial software does not allow you to budget different amounts each month. How many profit centers do you have (categories you receive revenue from)? Are there any new products and/or services you plan to offer? What profit center will they be assigned to? How many and at what cost will you sell each? Projection totals overall should be based on how many of each product or service you offer, how many you will sell, and what you charge per sale. You may have multiple products / services assigned to one profit center. Identify any products or services that should be discontinued or any changes that should be made to increase sales. How will maketing and advertising activites you plan effect sales? The COGS should be based on a percentage of sales for control and planning purposes. For any profit center that has a COGS account attached to it you can use the percentage of sales for 2015 as a guide. Remember, to get this percentage you divide the total cost by the total revenue for that specific product or services. For example; Total food purchase is divided by the total food sales to give you the percentage of cost of goods sold. So, if total food sales were $100,000 and you spent $33,000 on food purchases, your COGS would be .33 or 33%. Do this for each COGS account. Now you can use this percentage to forecast 2016. For example; If you project sales to increase to 150,000 and you forecast a 33% GOGS, you would budget $49,500 in food purchases. Do you have appropiate COGS acccounts set up? Did 2015 reveal the percentage of sales that met your goals for the year? What changes do you need to make in purchasing? Are there changes you need to make in pricing to cover cost? Do the total COGS leave room for profit and expense requirements? Are there any capital purchases or planned actions that will reduce COGS? Now this step should be a breeze. Remember the difference between fixed and variable expenses. Items like rent are fixed. You may have an increase in rent per your signed lease but the month to month amount should be the same. Fixed expenses do not change with sales volume. In most businesses, the bulk of the expenses are fixed. Variable costs are those that can fluctuate depending on the amount of sales per month. Examples of variable costs are administration staff wages, commissions, or credit card fees. The more widgets you make/sell, the higher the variable cost can be. Use the same approach as above for line item variable expenses. One of the most important steps in completing the financial portion of your plan is identifying what your KPI’s are, how you will monitor them, and the frequency of measurement. You can’t manage what you can’t measure! Labor costs are the number one challenge for most companies and a great KPI. Monitoring labor cost month to month will assist you in meeting the year end goal. Let’s say your budget is a 43% labor cost. If you are face to face with a 51% labor cost one month you can monitor this expense closely the following month(s) to bring your year to date cost back in line. A labor KPI may also alert you to other things that may be going on like uncontrolled overtime, inaccurate time keeping rerecords, and even theft. Things may happen from time to time to drive labor cost up; however, monitoring labor cost as a KPI on a monthly basis will keep you in a healthy financial position. The financial portion of business planning is what seems to be the most challenging for folks, especially the first year. Once you have projected a budget, tracked actuals, and recorded variances for a complete year, you will find this step the most rewarding. This is why I suggest you start with the forecasted budget, which is simply a projection of total sales, cost of goods, and expenses per month for the year. This is our tool to manage by the numbers……numbers are a powerful measurement of success! Next time we will review strategic planning to support your forecasted budget. I will focus on a strategic approach to increasing revenue and how planning can be the best tool for increasing sales! Third Quarter: It is a Catch or a Fumble? So here we are – mid October! By now you should have closed your third quarter. Are you where you want to be? Is your focus on having your “touchdown” by December 31st? All is not lost if your bottom line is looking weak or you are entering a slow 4th quarter. Many small and medium sized companies have not reached their breakeven point yet and will not until mid-November or early December. Keep in mind that once you have reached your breakeven point – daily revenue turns into 100% profit because all expenses for the year have been met by total revenue! So, “IT AIN’T OVER TILL IT’S OVER” and it is not over yet!! This is the time of year when business owners have to focus on controlling expenses by paying close attention to the financial reports. Brush the dust off the planning documents you did earlier in the year and see if you have done what you said you would do. If you are falling short, get to it! Keep your staff motivated and involved in reaching the goals you set early on. Sound hard? Just remember you have been waiting all year to get to this place. 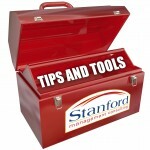 If you have been managing by the numbers there should be no surprises closing the 3rd quarter. Don’t Throw in the Towel Yet! All businesses have peak and slow periods. When you master the idea of managing by the numbers you will see the slow periods become less stressful and allow you to continue to focus on your overall profit goals. If you are approaching a peak business period, make sure you are continuing to monitor all costs. But, if you are approaching a slow business period, make sure you are still continuing to monitor all costs. Notice a trend to my rants! It is all about controlling costs from beginning to end! Breakeven analysis is used to determine when your business will be able to cover all its expenses and begin to make a profit.The lowest point of profit that a company can achieve and survive is the breakeven point. A company will breakeven when the total sales equal the total expenses. A breakeven calculation is critical for any business owner to understand. It is an activity you can do every month when reviewing your financial reports. Breakeven is a point in time when revenues and expenses meet. Revenue earned after that point in time becomes pure profit. To determine the breakeven point you will need total revenue and total expenses for the year from either your forecast or your P&L, and the total number of working days. To calculate your working days, take a 12 month calendar. Mark off any days of the year that you will not be open and then count what is left. The days left are your working days. Daily revenue – Daily expenses = Daily Profit. Total Expenses / Daily Revenue = Number of Working Days to Breakeven! Starting with January 1, count the number of working days to find the actual day of the year you break even. What does this mean for profit? Let’s assume every day up to the breakeven point that the company makes a daily profit. Beginning the day after the breakeven point the daily revenue goes directly to profit. This is because your breakeven means you have paid all of your expenses for the entire year. Yes, daily revenue becomes profit because all expenses have been met! It all comes down to this – The closer you can get the breakeven point to be near Jan 1st, the more profit you will make! One of the most exciting activities we do in Beyond the Basics Boot Camp is calculating breakeven points. Just knowing the day the revenue and expense axis cross each other is extremely exciting and motivating to most business owners. We are all in business to make a profit, right? Knowing what day your hard work is approaching that touchdown is one of the best motivators! What is your motivation for 4th quarter? Is it to make it to that breakeven day or are you close and ready to focus on shaving a few days to breakeven on an earlier date? Either way – it is motivation to keep your eye on the ball! The number one challenge for our clients is managing change! This is not an area most folks enjoy thinking about. 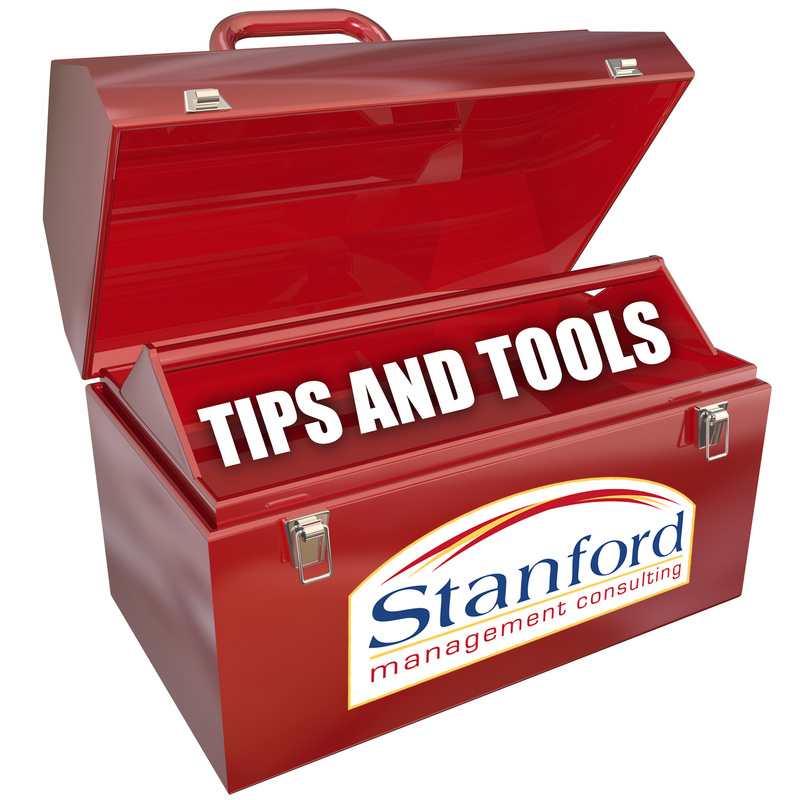 What we find at Stanford is not that the business owners we work with don’t want or need change; rather, they don’t understand how to plan for and implement change. Sometimes, you have to take one step back in order to take two steps forward! There are hundreds of books written on change management. I personally love to teach business owner’s how to tackle making changes in their business so I could write on this topic for a year! I will split this topic into two post in order to cover what I feel is most beneficial for business owners to consider when making changes in their business. Although it seems an obvious question to begin with – the differences in how people perceive change is quite amazing. We find that the easiest way to understand what change represents is to know where you are and where you want to be – all you have to do now is get there. Seems pretty straightforward doesn’t it! Well that is the theory but the practice can be a lot harder especially when you understand that it’s not only you that needs to know this but everyone who may be impacted by the change. Business owners have to understand the many sources that drive the need for change and their impact, both actual and potential, on the activities that allow the business to operate and produce revenue. The ability to cope with the changes is critical to long term survival. There are several types of change, each with its own set of characteristics and impact on the business. Which type of change do you think is more easily controlled and preferable to a small business? Emphasis is on the people involved because organizations don’t change – people change! Of course, planned change is more easily controlled and preferable to a small business. Again, understanding where you are and where you want to be are the first steps in how to get there. Planned change is most often achieved because you are focussed on outcomes. The most successful outcomes are leader, process, or improvement driven changes. The most important pre-requisite for change is a clear shared vision. This vision, along with the capacity for change and defined steps to achieving goals, will reduce frustration for all affected by the change. Being easy to explain and understand. Without a clear vision there is a high chance of the change failing and this may have a significant negative impact on the survival of the business or goals. It is important to look at and understand the reasons why change fails. We will look at Resistance to Change & Why Change Doesn’t Work next time. The resources required to implement the solution must be kept to a minimum. Two simple techniques for developing solutions are TPN and Brainstorming. TPN Analysis is the process of deciding whether or not you have Total, Partial, or No control over a situation. It can be done every time a problem arises or as you are weeding through a list of problems. This forces you to look only at the problems where you can have an impact. Once you have determined which problems you can control, a good technique for coming up with solutions is Brainstorming. Brainstorming is the process of gathering a group of trusted advisors to help you identify the root cause of a problem and throw out ideas for solutions. A trusted advisor could friends, family, other business owners, really anyone whom you trust. Brainstorming gives you an opportunity to get different views and opinions from those who are not as closely related to the problem. If done properly, it can spark creativity and provide options that you may never have thought of. At the end of your brainstorming session, you should have a list of possible solutions. Your next step is to pick the best solution, implement it, and monitor for effectiveness. Once the solution has been identified, the implementation must be planned. Metrics to determine the extent of the success or failure of the solution need to be set. This process can be managed through the Plan, Do, Check, & Act cycle (PDCA). Act – If the implementation results are off target then act so as to realign the effort. The PDCA cycle can be used as tool to bring discipline into the implementation and make sure that the results obtained are compared with those expected and any deviation leads to a re-evaluation. The goal is for continuous improvement as shown by achieving the expected results. Understanding where or why we are making excuses is the first step to solving most of our problems! Once we move past the excuses we can get to the root cause of the problems and use the tools we have to find solutions!